Are you looking for some last minute Valentine's Day Silhouette designs? Look no further!! 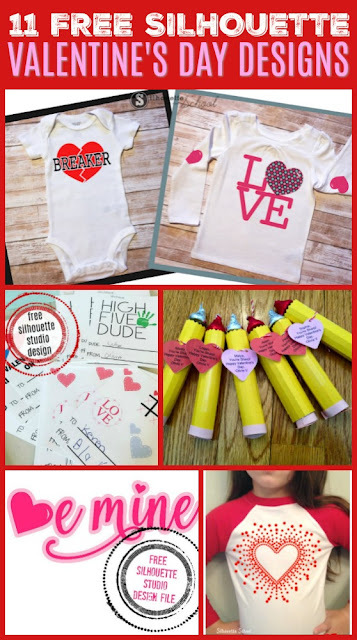 Not only are these designs perfect for last minute Valentine's Day projects, they're also all FREE! The Valentine's Day designs linked to above are available free for personal use. If you are looking for commercial use Valentine's Day designs for Silhouette, our sister site So Fontsy has the perfect SVG and PNG bundle! 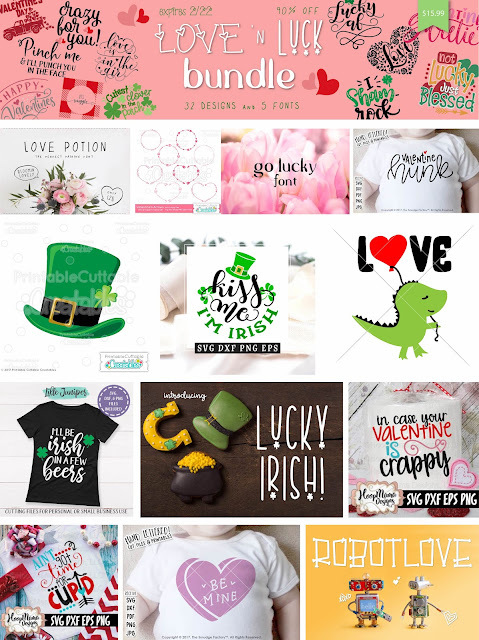 The Love N Luck Bundle includes 37 designs and 5 fonts and will get you through your Silhouette St. Patrick's Day project as well!